Leonardo da Vinci’s “Salvator Mundi” sells for record $450 million, most expensive painting of all time. 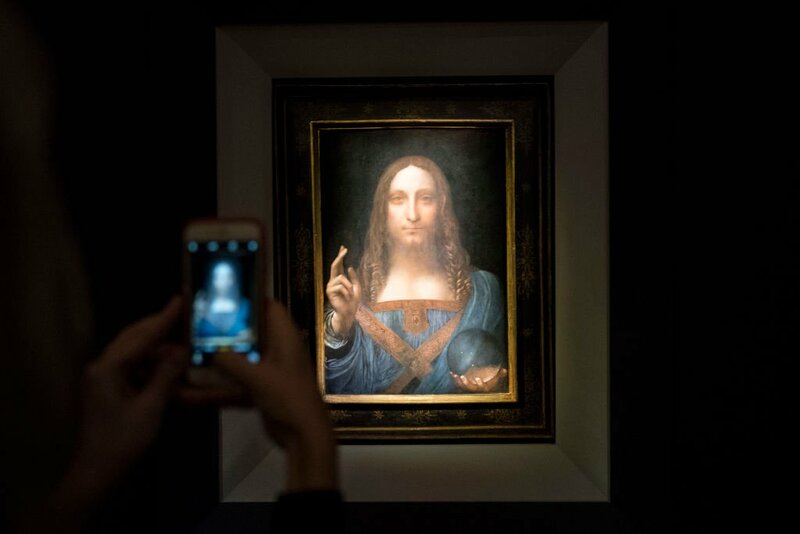 Timeline of how the painting went from £45 to $450 Million in 59 Years. Some psychoanalysis. Perhaps some marketing helped the cause. Some reactions on social media as well as some who find the sale tasteless & distasteful. James Turrell building an observatory in Roden Crater. A review of Shepard Fairey’s new exhibition. JR’s Inside Out Project traveling the US until end of year. A Banksy piece resurfaces in New Orleans. New exhibition of artists who have risked protesting against conditions in Russia. Jeff Soto’s poster exhibition at the Riverside Art Museum reviewed. An interview with Chet Zar. The MoMA receives a landmark $80 million donation. Photo of determined teenage migrant wins Taylor Wessing portrait prize. First home designed by Antoni Gaudí opens as museum in Barcelona. Artist starts airline only to art events. Drawings from Egon Schiele surface for first time in 85 years. First edition of Harry Potter book sells for record £106,250. Art market is expanding east. Picasso’s turbulent relationship with women. $100,000 worth of Carolee Schneemann photos stolen then mailed back to MoMA PS1. Manhattan socialite had $1 million in art stolen during party. An all female art fair for Art Basel Miami Beach. Juxtapoz Clubhouse returns for this year’s Art Basel Miami Week. Photo credit: Drew Angerer (Getty Images). Categories: Contemporary Art, Features, Overtime, Street & Urban Art. Tags: Contemporary Art, featured, Features, Overtime, slider-featured, Street & Urban Art.